VERONICA’S TOP ILLUSTRATING TIP: Make sure you can draw everything well! Don’t do the old ‘Oh, I don’t draw such and such’. It’s better for you to be versatile. Veronica Rooke first picked up a pencil at five and… well… hasn’t put it down since. She felt she’d reached the dizzying heights of fame at 13 when her very first six-part comic was published in the local newspaper. But it has now been delegated to the ‘never to see the light of day again’ file! She won money in a cartoon competition at 16 and thought ‘I can make a living out of this’. She has done that since 1987. Veronica is the first to admit it’s not been as easy as her naive teenage self imagined it to be. But learning to take harsh criticism and turning rejection into success has been invaluable. 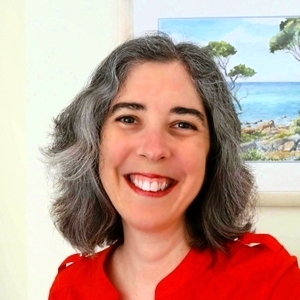 She has created many illustrations in different styles, including two- and four-page comics, a six-year comic serial, a graphic novella and a 10-part science feature. These have appeared in the School Magazine and Oi Oi Oi comic. 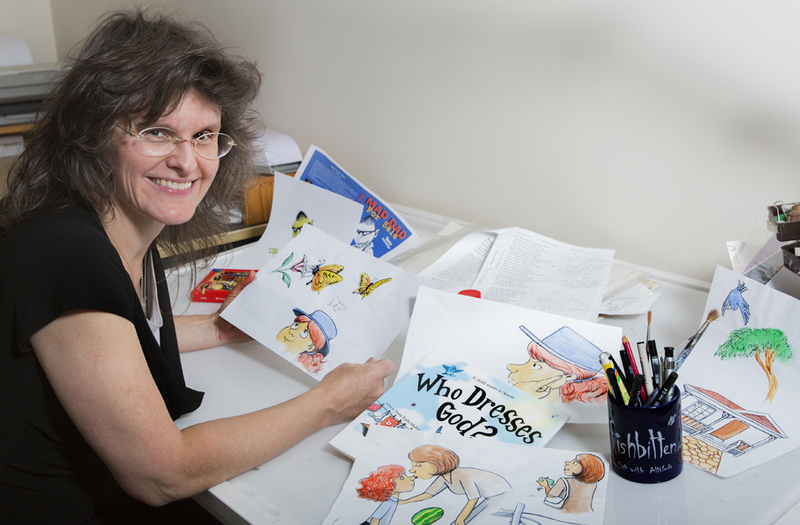 Veronica has also illustrated picture books and designed more than 20 book covers. She’s also created 100s of t-shirt designs since 1994. These have sold in every state of Australia, so you’ve probably walked past at least one. Visit her website and follow her on Facebook to find out more. What’s the best aspect of your artistic life? The pleasure of doing a hobby for a paid job. And also the extra chocolate bar I reward myself with after some success. —the worst? The uncertainty of where the next pay check will come from. Competition for projects is high amongst illustrators, so it’s disappointing when you work on a submission and it isn’t successful. When that happens I grumble for a few days (and hit the chocolate again). Then go for a run to burn off all those calories and plot the next submission. Once I have lots of inspiration, the drawings are very quick to do. A novel- I’m now writing. When they’re in planning stages I don’t say much about them. Is there any area of art that you still find challenging? Art?…No. Things get easier if you practice. I’ve been ‘practicing’ for almost 30 years. But writing?…It’s much harder than art. For example, imagine a scene where a genie is coming out of a lamp…An experienced artist can quickly and easily draw it. But a writer has to skilfully create that scene. It takes longer to fine tune the words so the reader sees it in their mind. Three words… ‘Writers are awesome’. What was your toughest obstacle to becoming published? The very first one. My advice is, when you get rejected, learn from it and try again. My first real submission was a comic strip to a local newspaper when I was 18. I had no experience, just lots of ideas. The concept was about a fur-wearing, muscle-clad barbarian fighting demon nuns. They rejected it. (Really?… I can’t think WHY!) And besides, they couldn’t afford to pay me. But I really wanted to be published. So I submitted another concept. It was weekly jokes about a dog living with a family. It was called ‘Tails’ after our own dog. The paper accepted it and payment part came in the form of a free advert that attracted freelance illustrating jobs. This worked very well and a few years later, they COULD afford to pay me. The comic strip ran for 16 years. What would you be doing if you weren’t an illustrator? I’ve drawn since I was five, so I was very focused from a young age. I didn’t ‘yearn’ to do anything else. If I had to pick, I’d say a vet because I love animals. I’m always fussing over friends’ dogs or the neighbour’s cat. I’ve rescued a few animals too. But my history with keeping fish has been disastrous…I’m a serial fish killer. I felt awful. So I gave the fish tank to a wild life sanctuary. The animal kingdom is probably relieved that I’m an illustrator. What would you do differently if you were starting out now as an illustrator? Nothing. The skills I’ve learned have been priceless. As a freelance artist, you have enormous variety, but you’re not really pushed to your limit. Clients are too timid to ask for you to do better. Working for a company is more ruthless. If I didn’t create art that sold, people lost their jobs. There was a harsh sales rep that didn’t hide it if she hated something I drew. It would have been easier to dislike her. But I decided to listen to her nasty comments. She became the person I learned the most from and we got on really well in the end. What do you wish you’d been told before you set out to become an illustrator? How competitive it would become. When I began in 1987, being an artist wasn’t that popular. I would have diversified into writing sooner. “Know your subject well and the illustration will come easily”. This gentle story is a conversation about God between a mother and a child on the way to Kindergarten. 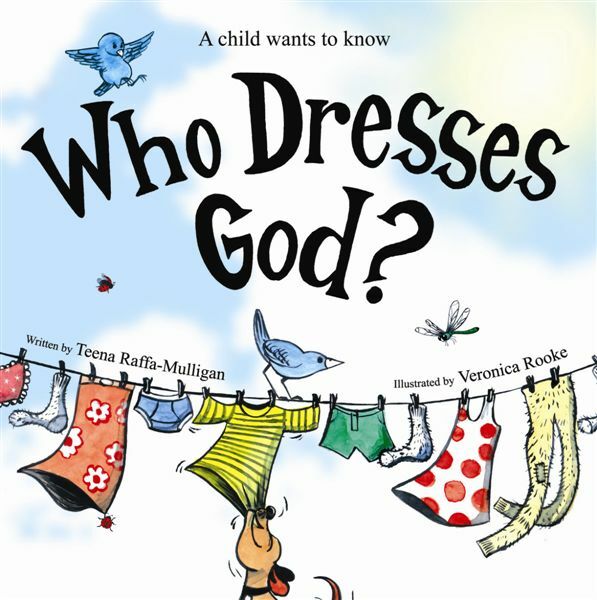 Told from the child’s perspective, the series of questions and answers in rhyme introduces young children to the idea of a higher being that can see, hear and speak without eyes, ears or tongue, and does not live in a house with roof, walls and locking doors. JENNY’S TOP WRITING TIP: Believe in yourself. No one else knows the deepest reasons of why you write or your most secret dreams. Protect both. Work with people who behave professionally, and behave professionally yourself. It’s about respect. Publishing is a tough business, but you can survive and flourish, and help others to do the same. Why do you write? I enjoy it. I love crafting a story, developing the characters and setting them challenges that they resolve. I feel genuinely lucky to have the chance to write stories of hope and love. Storytelling is one of the most ancient arts and it’s how we bind a community together. It is memories and meaning and the energy to build a better world. What would you be doing if you weren’t a writer? Communicating in some form. The nice thing about the skills that you pick up as a fiction writer is that they’re transferable; especially now when authors have to be social media savvy professionals. What was your toughest obstacle to becoming published? Self-confidence. I think the hardest thing initially is to overcome the doubt demons and put your work out there for the world to love or hate. It’s a risk. What’s the best aspect of your writing life? The fictional characters I meet (they just wander into my mind), and the real life readers, reviewers, editors and fellow authors, all of whom are amazing. —the worst? Bad reviews. Totally devastating. What would you do differently if you were starting out now as a writer? I’d listen harder to good advice. People have trod these paths before. Even if self-publishing is changing some things, the mechanics of writing and writing well remain the same. Re-inventing the wheel gains you nothing. What do you wish you’d been told before you set out to become an author? Find your audience. Know who you’re writing for, how to communicate with them, where they hang out, what promise you’ll make to them, and how you’ll deliver on it. Or to put it another way, recognise from the beginning that you’re a brand and act accordingly. What’s the best advice you were ever given? Be kind to yourself. And this was expanded to – what would you say to someone else going through this stuff? Now, say that to yourself, and listen! Freedom! For the past 11 years, schoolteacher Tessa Fraser has been raising her much younger brother with the help of their grandmother. But now her brother is 18,headed for college, and Tessa is finally free to indulge her adventurous spirit. Only, Sheriff Caleb Gascoyne has other ideas. 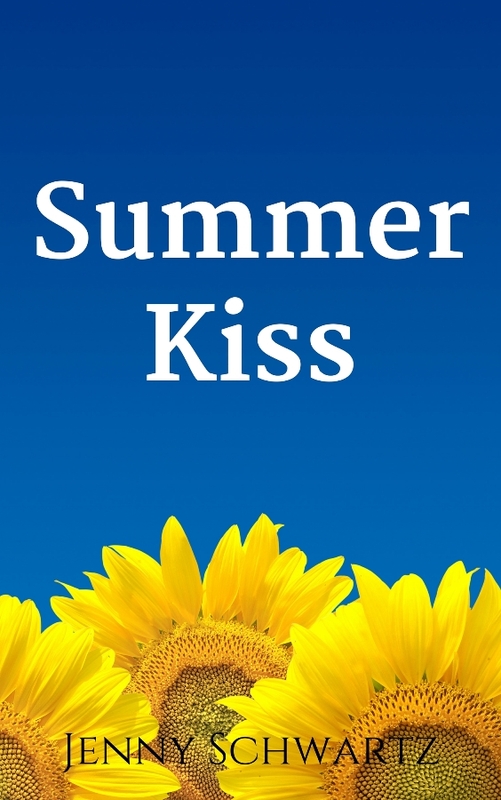 Fishing at midnight, Caleb never thought he’d catch the woman of his dreams, but Tessa is sweet and funny and sparkling with the joys of summer. She’s a world away from his old life when he served his country on secret missions overseas. But she wants freedom, and he’s just settled back into Gascoyne Junction. Tessa knows Caleb is used to far more sophisticated women than her. She’s spent her whole life in the Texas Hill Country, while he’s travelled the world. Never has she regretted her lack of sophistication so much as when confronted by an honourable, old-fashioned cowboy-sheriff who just won’t be tempted into a midnight kiss. 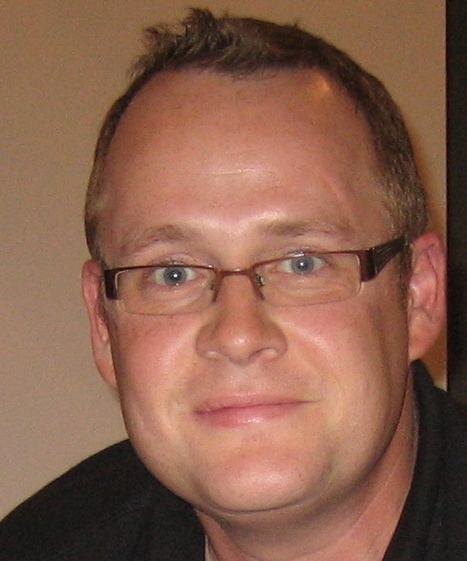 TIM’S TOP WRITING TIP: Get the novel written before even pushing publishing options. Get it polished, have something you are proud of. Read the two books above I’ve mentioned. Get in touch with me and other authors for help and encouragement. And read a lot. Tim Heath has been married to his wife Rachel since 2001 and they have two daughters. He lives in Tallinn, Estonia, having moved there with his family in 2012 from St Petersburg, Russia, which they moved to in 2008. He is originally from Kent in England and lived for eight years in Cheshire, before moving abroad. His debut novel (Cherry Picking) was published in 2012 and his second novel (The Last Prophet) in January 2015. His third novel (The Tablet) is in edit, expected in December 2015. Why do you write? I write because I have exciting stories to tell, ideas that float around my head until I’ve put them into print. I write to share these worlds, trusting others will eventually see what I see. It’s also good to have something that releases the stress, that allows you to be yourself and writing, for me, is that thing. It helps the rest of my life go on a little smoother – of course, writing also opens yourself up to all kinds of other pressures, but I’ll ignore them blissfully at the moment. What would you be doing if you weren’t a writer? I’m only a part-time writer at the moment, so I guess it’s easier to answer that question with the other business stuff I do – I guess I’d be doing more of that. Truth be told, I only became (a part-time) writer by moving abroad nearly seven years ago. I’m a church leader and moved to St Petersburg (the Russian one) and then Tallinn (Estonia) where my family is now very happily based. This all keeps us very busy. So if I didn’t have the space for writing, I guess I’d be doing all these things a little more – but maybe just a little more stressed. What was your toughest obstacle to becoming published? It was different things at different stages – the first challenge was certainly actually getting the novel written. I knew what I was seeing in my head was a great world with a strong plot. Ideas are not hard for me. The challenge (for all my books actually) is, can I get what I see down onto paper? Can I do the premise justice? Sadly, having a finished book (yes, getting edits and covers etc is challenging, if you want it done correctly that is!) is not the end of the journey – it’s hardly even the mid point. Actually getting it out there (publication, firstly, but even beyond that) is a huge challenge. It might be the best story ever written, but if no one knows about it, nothing will change. You need a lot of self drive and self belief, plus the support of a loving family around you goes a long way. What’s the best aspect of your writing life? Until recently I’d certainly say writing. Last year shows this. 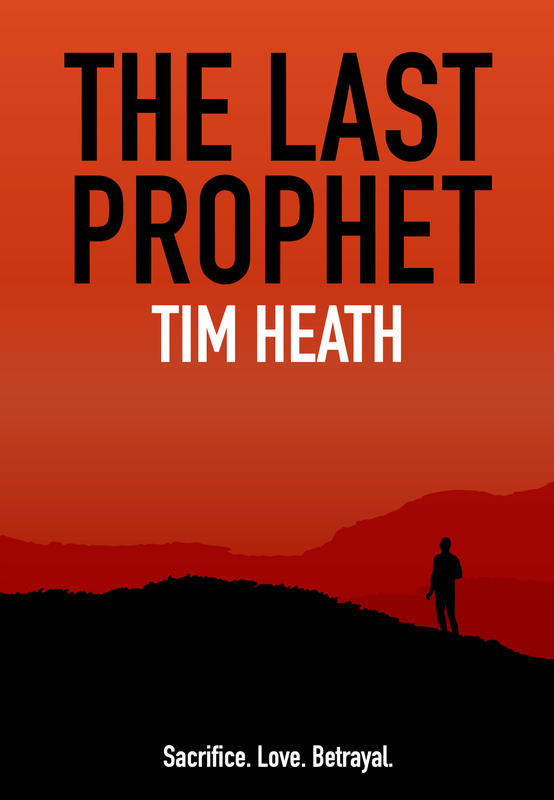 I finished the first draft of The Last Prophet in January 2014. I then went straight into the editing process (don’t do this, I now know!). By September, I was bored. I hadn’t created anything in nine months, just changed and edited stuff as it came back from my team. In September, I’d planned to set time aside to write novel number three. I’d planned well and in just 13 writing days (over about seven weeks) I’d written the first draft of The Tablet – it flowed out of me. I’d missed creating so much it kind of landed on the page like a dam breaking. By this January, a year on, I realised that in the last 12 months, I had just those 13 days of actual free flowing writing – the rest was just editing and publication issues. Ironically, even as a part-time ‘writer’, actual writing happens all too infrequently. —the worst? It’s a very lonely path at times. Actually breaking through (I’ve seen relative ‘success’ at times) only pushes you far beyond your friendship circles. Friends who read your books tend to say nice things. Total strangers can (and do!) say anything! It’s especially hard for the debut novel, as you’ve no point of reference and sharing your work for the first time with the world is a scary process, there’s no denying it. Through the bad reviews (I’ve got far more good reviews, I should add, from total strangers too!) I realised that some people just like to be mean. All my favorite books by writers I could only dream of being half as successful as, have bad reviews. One-star reviews for books I absolutely loved reading. It just goes to show, you can never please everyone. 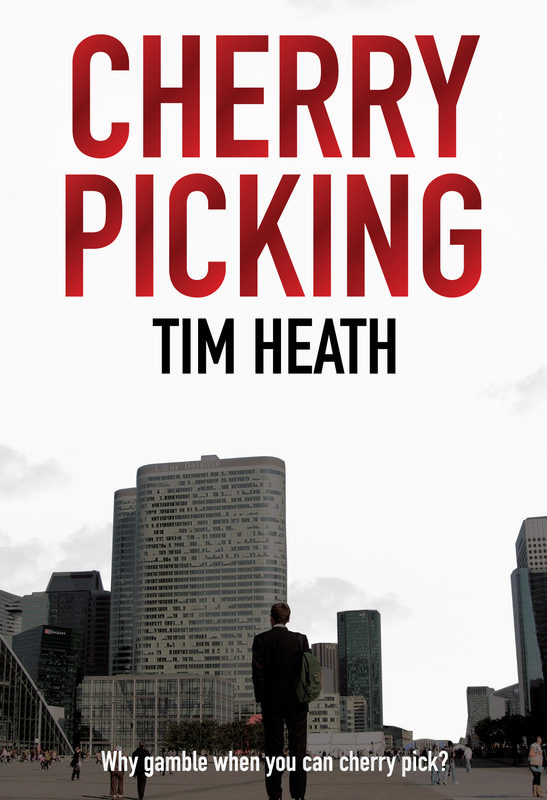 So having a full range of reviews (as my debut novel Cherry Picking now has) only goes to show you’ve truly hit the mass market. What would you do differently if you were starting out now as a writer? Knowing the ultimate publishing route I took, I’d have gone straight for that option had I known it at the time. Something I also did (and have seen others too doing) is rushing the process to get that first novel out. It meant too many mistakes (even though I had a team of proofreaders etc) got through and it just looks bad. These were corrected, but whilst I wouldn’t say wait until it’s perfect (it never will be) I would say don’t rush it until you are sure it’s up to standard for general reading by others. What do you wish you’d been told before you set out to become an author? There’s the advice I’ve picked up on the way (which I can see is asked next, so I’ll add it there). That would have been nice to know earlier on than I did. I don’t know if I set out to become an author – I wrote and that led to writing which in time led to a finished first draft (at long last!) which opened further doors. Looking back, I see the process now. But I guess I set out in the first place with the goal being to write the story down completely that I’d been acting out in my head. What’s the best advice you were ever given? I’ll say two pieces, the first got me flowing right at the beginning of my writing career (before this time it was just a hobby I fitted around life). In his excellent book Your Writing Coach, Jurgen Wolff lists a number of reasons why people stop writing and I connected with most of them. The biggest one told me that you should write the first draft without reading it through, just write it, get it onto paper before you read it through. Before then, I’d been editing on the go – it left me with seven polished chapters but how could I start chapter eight, it just wasn’t up to standard – so I had stopped, until I read this life giving advice. Nigel Gamble is a man with everything – including a dark past. He took his name from his early business successes, but in reality none of it was based on risk – only certain success. Every decision Nigel has ever made in business, people, sport or life had been based on some prior knowledge. When a stranger appears it shakes his rich world to the core. But Nigel has been waiting for him – and preparing. Now it’s a fight to the death – there can be only one winner. John awakes to find himself in a hospital bed with no memory of how he got there. Then the visions start. Destruction and death. A last chance. The only one who can save millions of people. He is no hero. Could he do what was being asked of him? SIOBAN’S TOP WRITING TIP: It’s important to have a clear vision for your writing and the direction you want your work to take. A solid sense of direction allows you to accept feedback that is constructive and valuable to the agenda of your work and disregard that which isn’t. This means you make the decisions that are best for your writing – and not your ego. Why do you write? For as long as I can remember I have always put my ideas down on paper, it’s part of who I am. Inspiration is like a persistent ringing phone, it won’t stop until you answer the call. If the ideas are there, I have to nurture them and give them the attention they deserve or they keep rolling around and popping back into my mind. That said, I can’t imagine a version of myself that didn’t write – for me the question is; how could I not? What would you be doing if you weren’t a writer? I would love to be an artist, a dancer or a singer; anyone who has been subjected to me attempting to do these things knows – it’s a good thing I love to write. If I were able to choose something else that would give me a sense of purpose it would involve working within the local community. I never cease to be amazed at what people can achieve by choosing to share even a little bit of their time for the good of others. People being willing to share their energy keeps a sense of community alive. What was your toughest obstacle to becoming published? I was very lucky to find Jasper Books, a Perth-based Western Australian micro publisher. 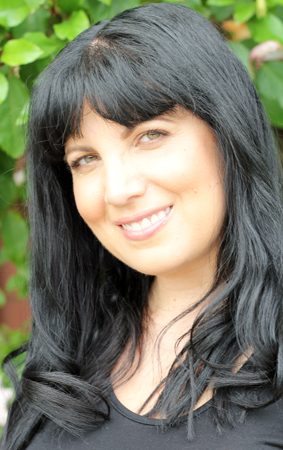 I was able to establish a personal connection with the owner Cate Rocchi. 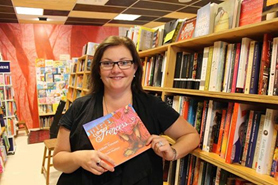 Jasper Books has a passion for ensuring that Australian audiences have a chance to read books that contain local stories told in our uniquely Australian style. —the worst? Trying to incorporate the business and creative aspects of writing can be challenging. Time feels better spent on the writing; the ideas and the thrill of a concept at the very beginning when you start to get a real sense that it’s a piece worth continuing. But publishing is also a business and it requires all the same administration – invoicing, and bookwork. Not as creative, not as enticing – but required to present as a professional individual and also to ensure that your work remains financially viable. Most of the chances I have taken have had a successful outcome or positive flow on effect. If I have taken a chance and it hasn’t panned out – it certainly didn’t do me any harm. Hearing ‘No’ doesn’t kill you, but if you don’t try – what opportunities have you unwittingly killed off? Do the math. Examine all of the costs – the obvious costs and the hidden costs. Don’t forget when pricing the book that retailers will want to add mark up. Immerse yourself in what you love – do workshops, join groups and get involved. You learn so much from other writers and their different styles, but it is also important for the networking side and the skills that can be shared between writers like feedback and editing. What’s the best advice you were ever given? Write what you love – Love what you write. If it doesn’t feel authentic to you, it won’t feel authentic to the reader. 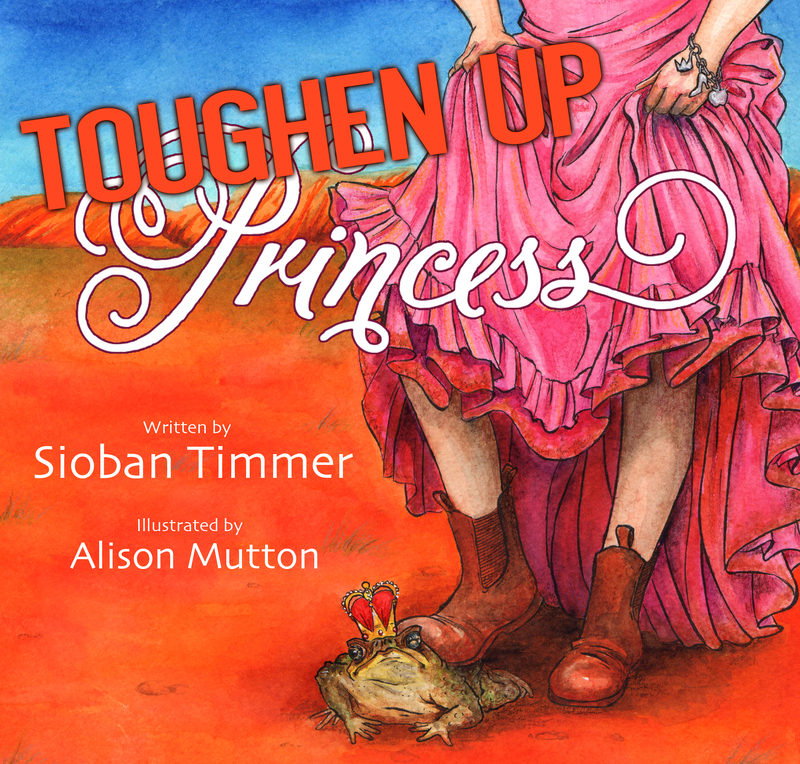 Toughen Up, Princess offers a new perspective on traditional fairy tales with a distinctly Australian flavour. The book is filled with delightful tongue in cheek illustrations by local artist Alison Mutton, which adds to the uniquely Aussie feel. These humorous interpretations help children to see that there is another side to every story, even one they think they know very well. Many are told from the point of view of the supporting characters and encourage children to consider that we are all the star of our own story. The giant doesn’t see Jack as the hero, the dwarfs didn’t want Snow White to move in and maybe Cinderella liked cleaning. The commonly accepted ideas are challenged in a humorous and engaging manner while encouraging children to remember everyone perceives the world through their own eyes, their own words and their own viewpoint. TESS’S TOP WRITING TIP: Meet as many other authors as you can and learn from them. And find yourself a literary agent if you can because they will be your greatest asset and will go in to bat for you with publishers and negotiate you a favourable contract. Why do you write? Because if I didn’t I would need to be institutionalised. What else would I do with these people in my head if I couldn’t write their stories? What would you be doing if you weren’t a writer? Writing is what I do when my kids are asleep at night. By day I’m a physiotherapist working in my own private practice. What was your toughest obstacle to becoming published? Not having written anything before was a huge hurdle for me in terms of finding a literary agent. Several agents wouldn’t accept my MS because I had no resume to speak of. What’s the best aspect of your writing life? By far the best thing has been the people it has brought into my life. If it wasn’t for my writing I wouldn’t have connected with other authors, bloggers and readers and would have missed out on all the wonderful blessings these amazing people have brought me. Being in the company of people who are as passionate about story telling as I am has made my heart sing. —the worst? I find the self-promotion side of things a bit daunting. I had no idea how hard I would have to work to sell the book myself. When I landed the publishing contract with HarperCollins I kicked my heels up and thought my job was done. But a lot is expected of authors in terms of marketing and promotion so that has been a steep and scary learning curve! What would you do differently if you were starting out now as a writer? I would get involved in the writing community from the start, not after getting published. Things like critique partnering is something that would have been so valuable during the writing process. What do you wish you’d been told before you set out to become an author? To be prepared to work hard not just in writing your book but in selling it too. What’s the best advice you were ever given? When we were doing the copyedit of Love at First Flight, the brilliant author Dianne Blacklock taught me the concept of Chekhov’s gun, one of her favourite writing tips, which is now one of mine too. Chekhov himself advised, “Remove everything that has no relevance to the story. If you say in the first chapter that there is a rifle hanging on the wall, in the second or third chapter it absolutely must go off. If it’s not going to be fired, it shouldn’t be hanging there.” This helped cut a lot of excess junk from my writing which was clogging it up. What would you risk to be with the love of your life? And what if your soul mate is the one who will destroy you? Mel is living the dream. She’s a successful GP, married to a charming anaesthetist and raising a beautiful family in their plush home in Perth. 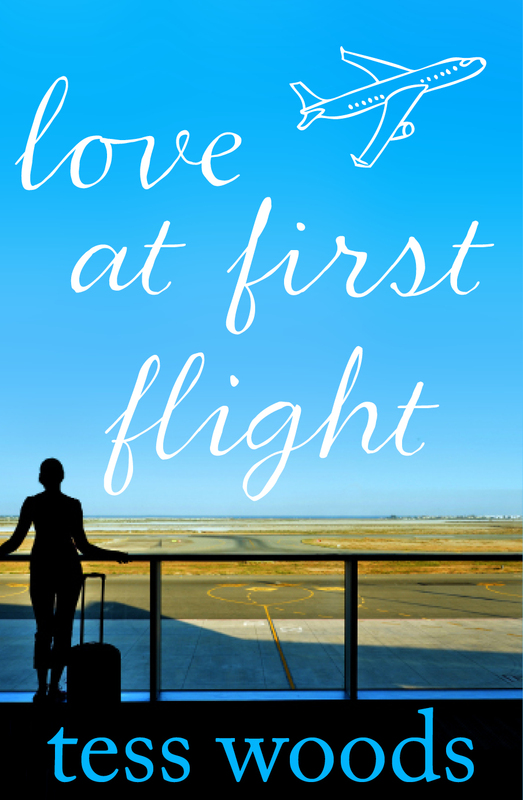 But when she boards a flight to Melbourne, she meets Matt and her picture-perfect Stepford life unravels as she falls in love for the first time ever.